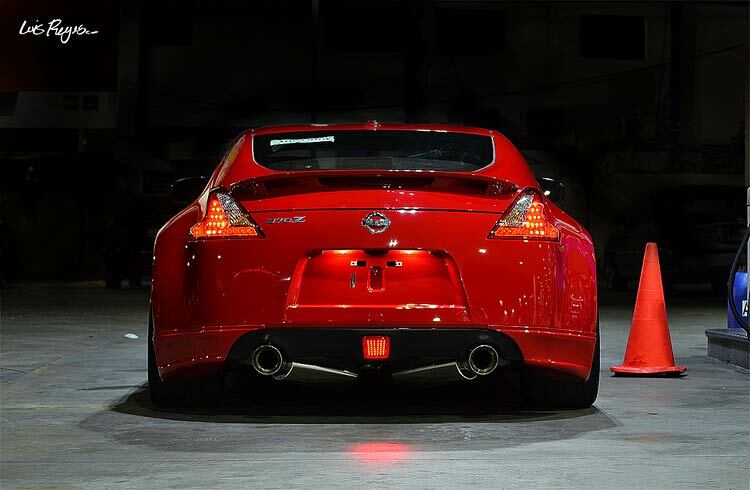 Want to get the most out of your 370Z exhaust setup? 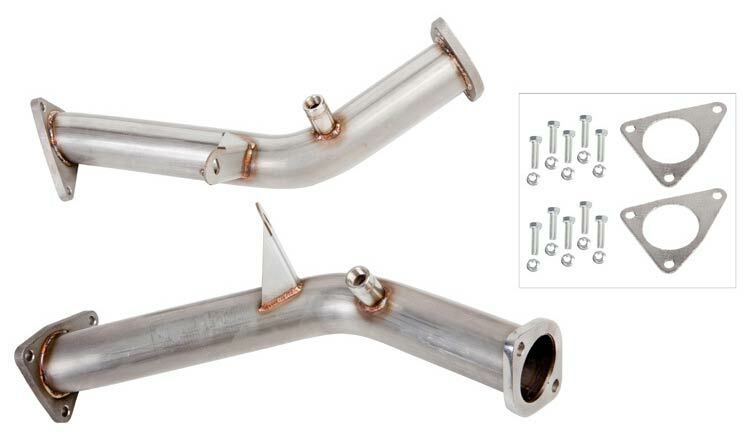 Test pipes provide the ultimate power gains for a minimal price. 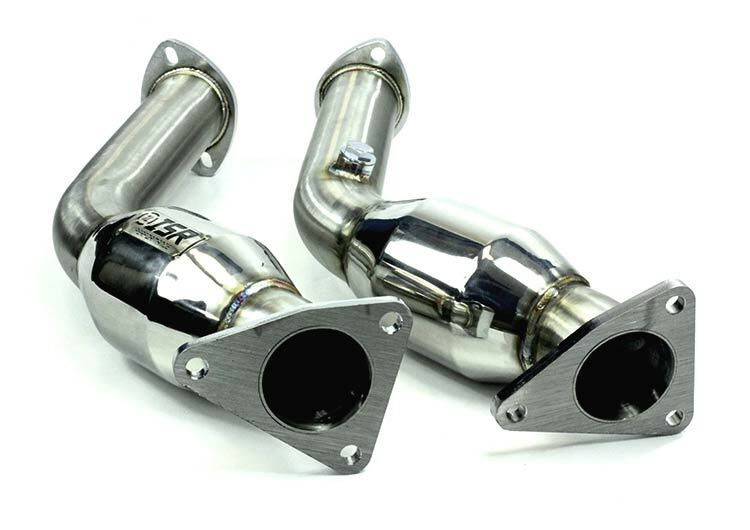 We bring you the best options on the market in our 370Z Test Pipes guide. We’ve covered a huge amount of aftermarket upgrade choices for 370Z owners in our previous guides, so whether you’re looking for an exhaust, coilovers, headers or going to new extremes with a supercharger or turbo kit, we’ve got you covered! 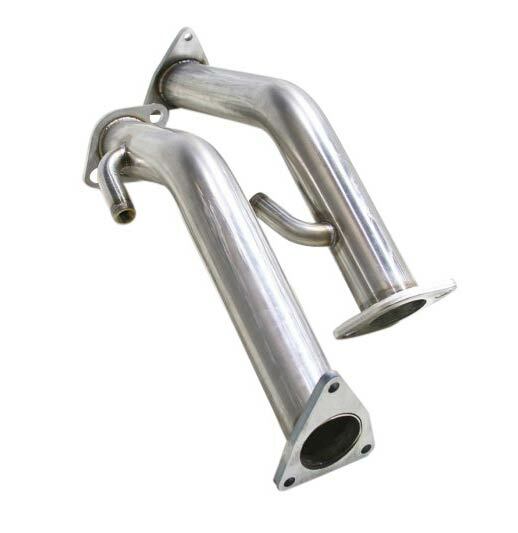 This time, we’ve listened to your requests to get the best potential out of your 370Z exhaust system, and many of you have been considering going down the test pipes route to get the air flowing in the most efficient way possible. Test pipes are an extremely simple and cheap bolt-on modification that can potentially offer around 10hp gains, there’s certainly not many mods on the market that can make these kind of gains for a couple of hundred bucks! Sounds too good to be true, right? Well, there are unfortunately a few drawbacks to running test pipes, but if power gains are your main concern then nothing else is going to match them. If you’ve looked at test pipes already, you would’ve seen that they state they’re made for ‘off-road use only’. 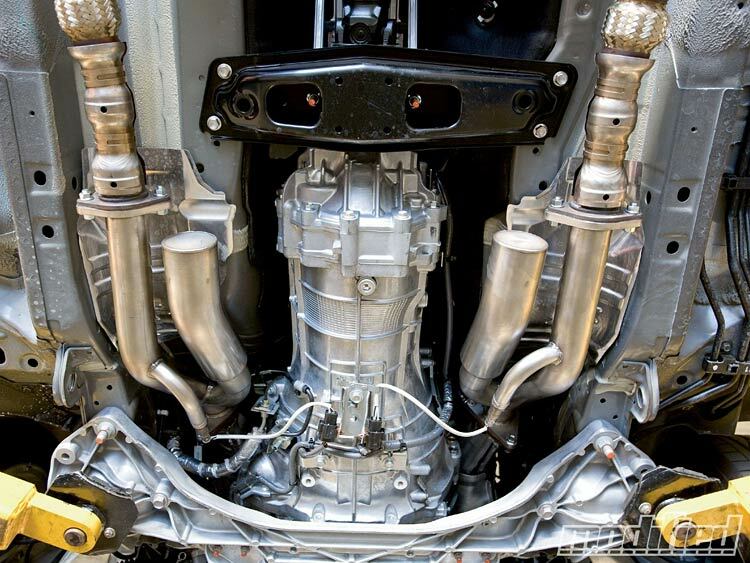 The reason for this is that most pipes are essentially a pipe which bypasses the catalytic converter. Perfect for performance gains but not so perfect when it comes to passing emissions testing. Other disadvantages are that it may well bring up your CEL (engine warning light), but there are plenty of simple guides online on how to get around this. You’re also going to have to prepare yourself for some SERIOUSLY loud noises, but that’s not always a bad thing! For some of you, these niggles won’t be an issue and you’re purely looking for making the most of your 370Z, so we’ve created this guide to help you. So if you can deal with these minor drawbacks and you’re ready to release those extra ponies from under the hood, check out our selection. We’ve done extensive research and narrowed down some of the best choices available on the 370Z market. 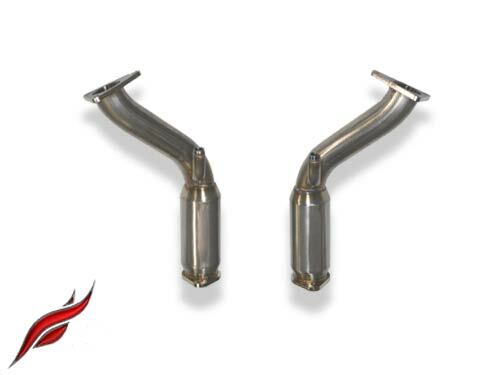 Resonated test pipes provide sound-deadening with barely any changes in performance, so unless you want to set off alarms when you go for a casual drive, these are going to be the better option for you. For those that need to pass emissions testing, high-flow cats are going to be the best route for you to go down. With that being said, high-flow cats also have their own disadvantages, combined with high-costs and test pipes are far less likely to go wrong due to their simplicity. We’ve written this guide to explain the differences and help you decide which test pipes are best for your needs. Check out this video from Lukas Lenner on YouTube as he fits the Motordyne ART Pipes to his 370Z with great before and after comparison footage. To read more about any of these products just click on the turbo kit name or photo. Our comment: We go straight into our list with the most expensive option, but arguably the best. Where most test pipes are a simple connecting pipe, Motordyne have gone out of their way and done countless hours of research to bring this unique product to the market with separate resonance chambers. These are well-known for being quieter as well as removing some of the less-desireable sounds that can often come with test pipes such as excessive rasp and drone to bring you the ultimate combination of performance and harmonics in a great-looking package. Sure, they’re the most expensive, but these are the perfect solution for those of you that want the ultimate product for your Z. Unsurprisingly, these are the most popular choice among owners. Our comment: They’re one of the cheapest offerings on our list but there’s been no compromise on quality here, which is why the Berk test pipes are the most popular non-resonated cats available. Sure, they’re going to be loud as they’re a straight-through pipe, but they’re extremely well made and sound awesome. Many owners have reported a much louder, deeper sound from the exhaust but with very little drone considering that it’s a straight-through. 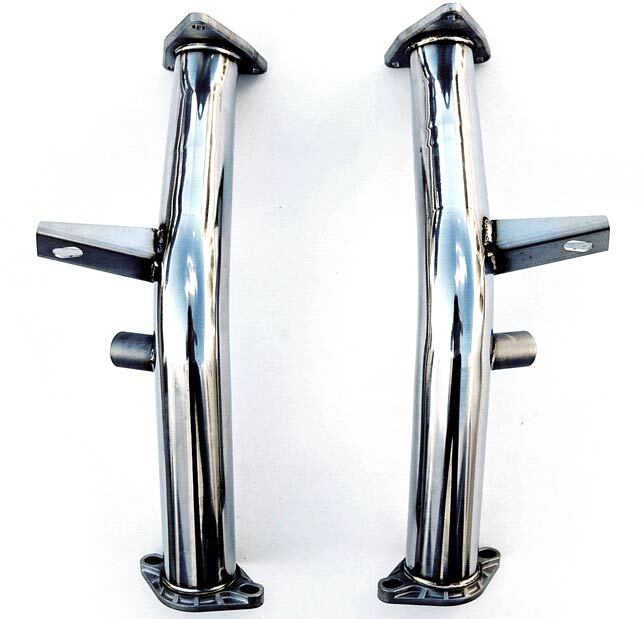 For those of you that don’t have emissions or sound concerns, these are the perfect value-for-money choice. Our comment: Another extremely popular choice once again comes from Fast Intentions as they bring another fantastic product to the market. You always can count on incredible quality and customer support from these guys. These resonated pipes are another strong contender for the win here, and for many owners they are the best test pipes out there. If you’re determined to go with F.I. but looking for non-resonated test pipes, you can find them here. Our comment: These resonated pipes from ISR Performance are the cheapest option on our list, but still offer decent quality and fitment. For a cheap resonated setup, you can’t really go wrong with these. They also have a non-resonated option at just $169.00, however we would prefer to stump up a little extra cash for the more popular Berk option. 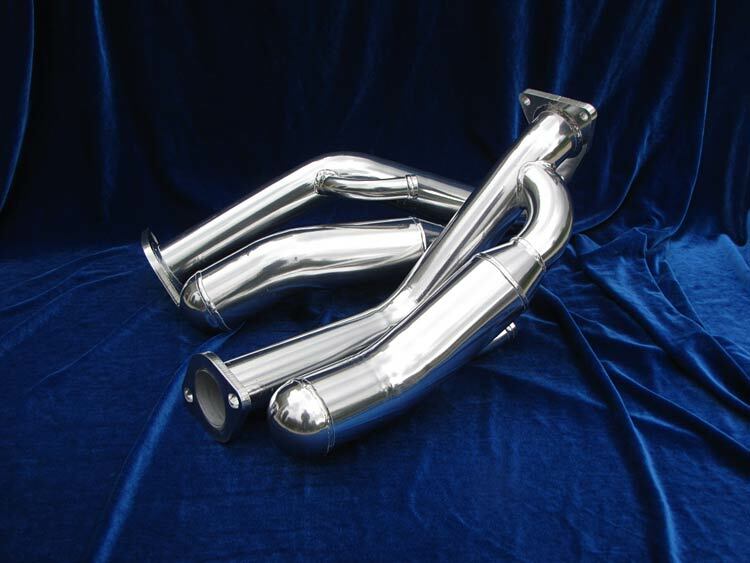 Our comment: Invidia are always a solid choice when it comes to exhaust parts and their test pipes are no exception. Owners have generally found this setup to provide more rasp and drone than the Berk alternative which is at a similar price-point, but we have no doubt you’ll be satisfied if you’re looking to pair these with your current exhaust setup. Our comment: They may not be one of the most well-known brands on the market and certainly not one of the most popular choices, but we’ve heard many positive things about these great-looking Motiv Concepts test pipes. They’re certainly not new to the game, bringing over 20-years experience in building high-quality show and race cars. If you decide to go with these as something a little different, we’d love to hear your thoughts. Our comment: Many owners are happily running the AAM Competition test pipes. These are well-known for being particularly raspy, but if that’s not a concern for you then they’re a great choice. For us, we would personally struggle to deal with so much rasp on a daily basis as we know how frustrating it can get when trying to drive around normally on a daily driver. Our winner is the Motordyne ART Test Pipes. To pick our winner from this choice of 370Z test pipes we looked at a number of criteria; performance, quality, sound, popularity and design. Based on these criteria we have chosen the Motordyne ART Test Pipes to be our winner. 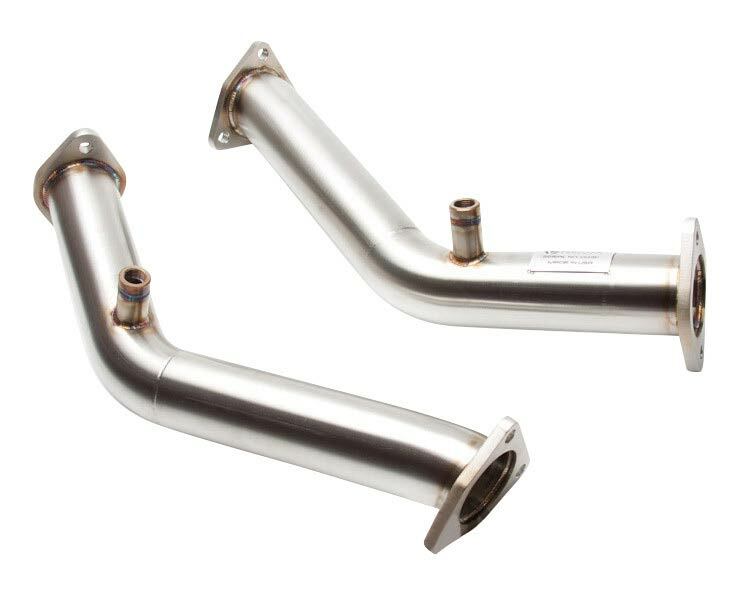 There’s no question that test pipes are a simple product to provide the maximum possible exhaust flow to give the ultimate performance. However, Motordyne have gone above and beyond with their ART pipes to tick all the right boxes to make the perfect all-around solution. We can’t question that these come at a price though, so if it’s a little more than you’d like to spend, we would definitely recommend the Berk non-resonated and Fast Intentions resonated. If you’re on a tight budget, the ISR pipes are a bargain. We hope that you’re now confident in choosing the right product for your needs to give your Nissan the much-needed power upgrade it should’ve left the factory with! If you enjoyed this article then please share it with the buttons at the side and bottom of your screen. Find this information useful? Please post a link to it on your cars owners club. We really appreciate your support.